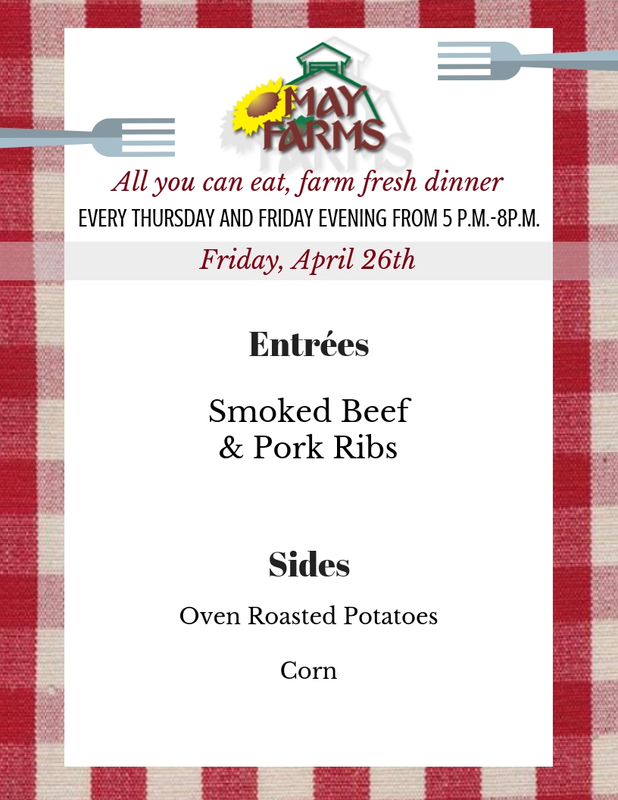 Served every Thursday and Friday from 5 p.m. - 8 p.m. 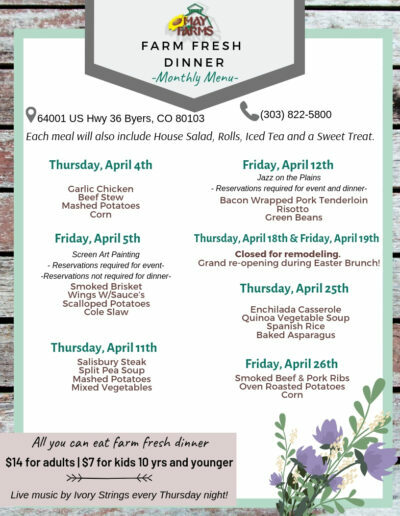 Swing by and stay a while! 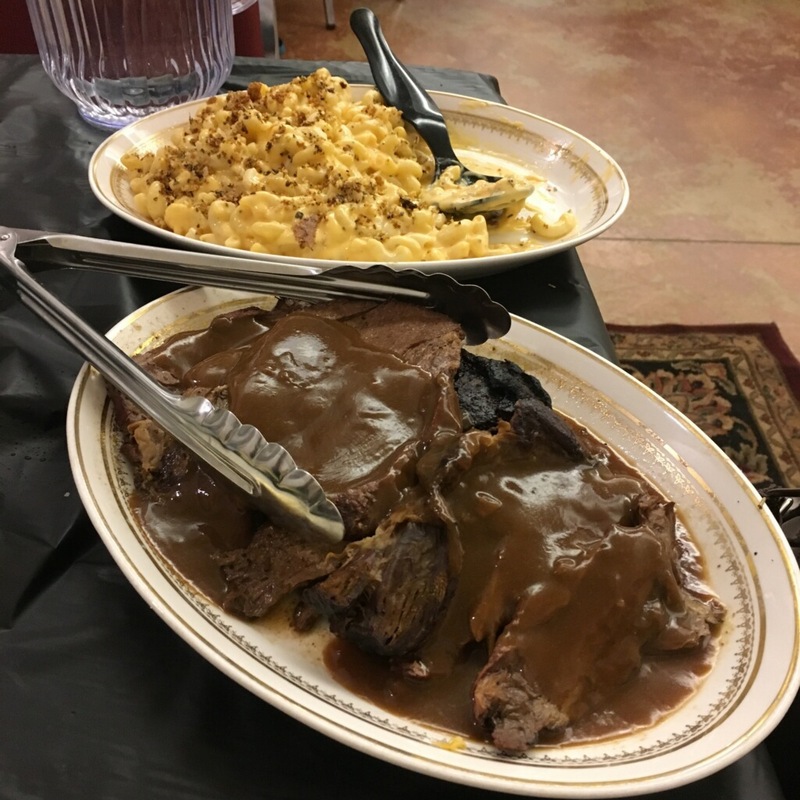 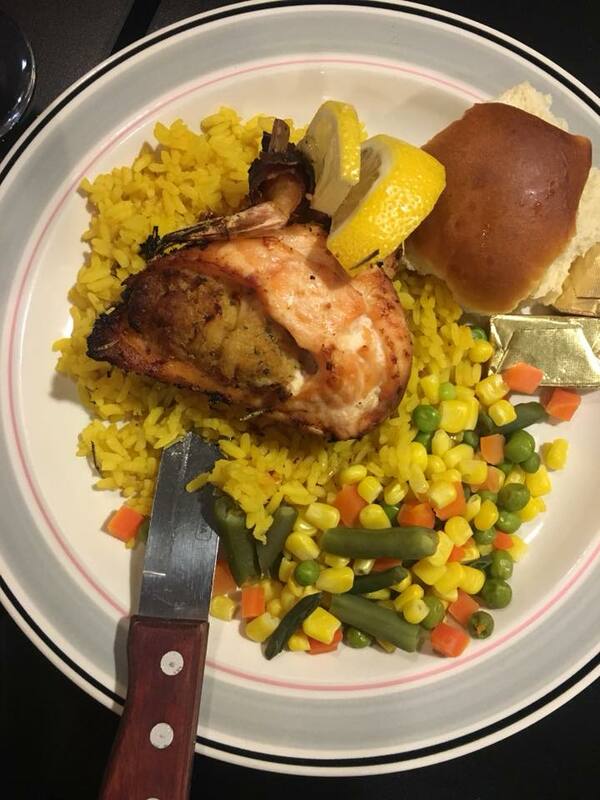 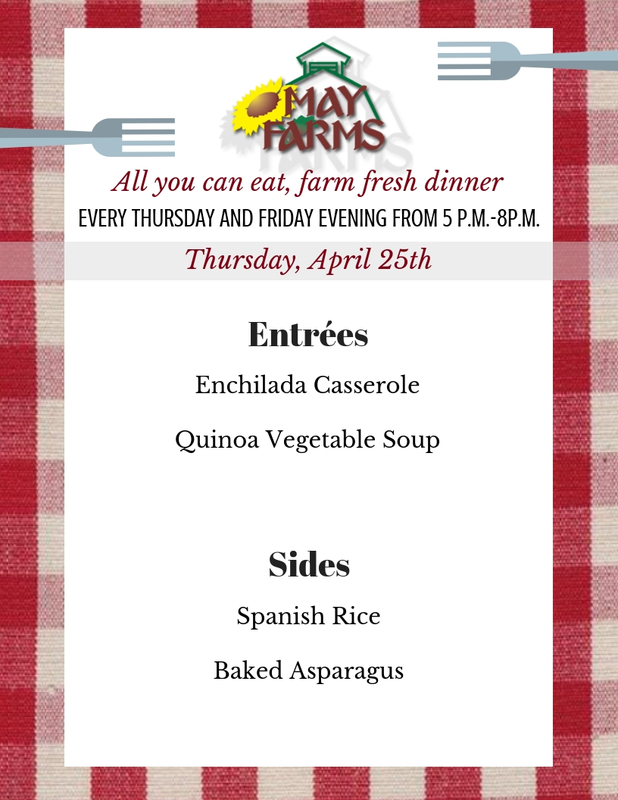 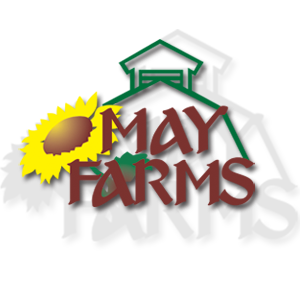 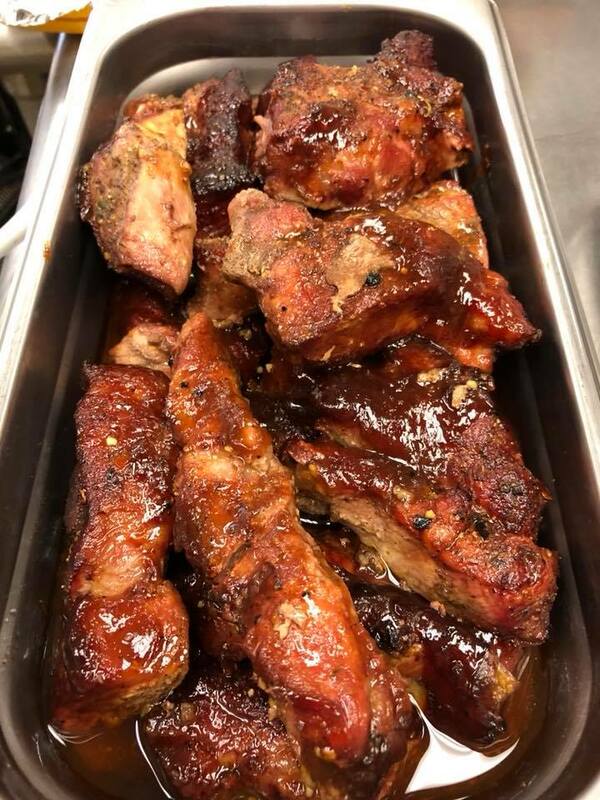 All you can eat farm fresh dinner is served every Thursday and Friday night at May Farms from 5 p.m. – 8 p.m.
Thursday nights feature live music by Ivory Strings with features Stacie May on the honky tonk piano and Susie on the fiddle! Here are the weekly and monthly dinner menus.